A CD of Taranaki waiata and karakia. Our hugely popular recording presents 47 top waiata and karakia from across Taranaki. Designed for personal use and to help prepare for whānau, hapū and iwi activities. 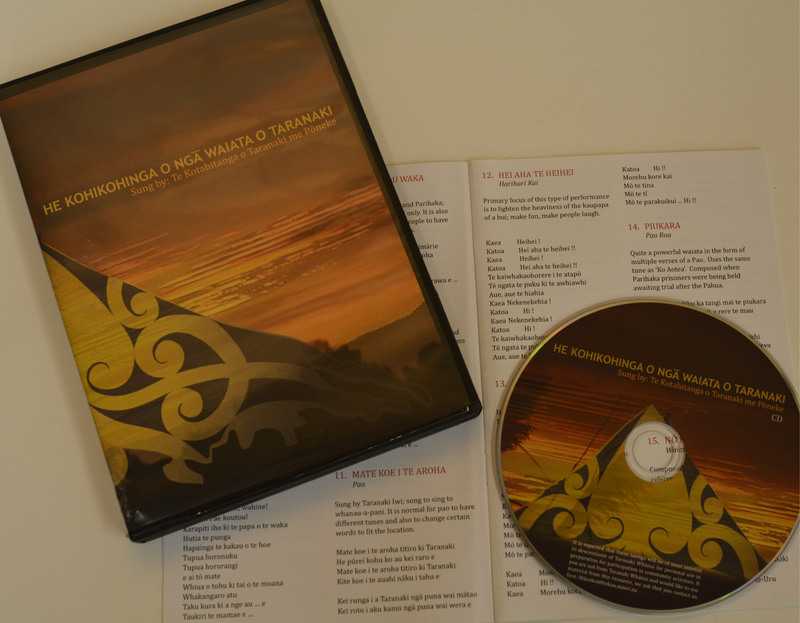 The CD comes in a robust case with a booklet containing all the words and brief māramatanga.